This AAA Four-Diamond hotel is the perfect gathering place for conferences and retreats. 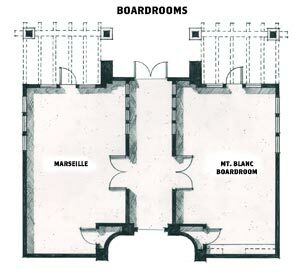 The Chateaux’s 34,000 square feet of meeting space includes a 6,600 square foot ballroom, the largest in Park City, and an expansive 12,000 square foot scenic outdoor courtyard. 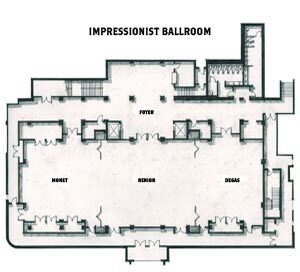 The Chateaux’s core meeting hub, the 6,632 square foot Impressionist Ballroom, easily transforms into three separate meeting rooms: Monet, Renoir and Degas. The space can accommodate banquets for 400 people, theater-style meetings for 650, classroom-style gatherings for 420 and receptions for 450. The key to The Chateaux’s flexibility lies in the unique way the 140 hotel rooms, studios and suites are configured. By simply re-arranging lockout features, studios and hotel rooms can be transformed into spacious suites. Each space is an uncluttered blend of comfort and luxury. Think heated towel racks, fireplaces, cashmere throws, flat screens, jetted tubs, mountain and courtyard views and a contemporary, quality spin on regal European style.